If data is the new oil, then knowing how to refine it into actionable intelligence is the key to unleashing its potential. To this end, CIOs are playing with predictive analytics, crafting machine learning algorithms and battle-testing analytics solutions in pursuit of businesses efficiencies and new ways to serve customers. Hyperaware that reducing costs or boosting revenues can help them shine in the eyes of the C-suite and board of directors, CIOs are spending more than ever on technologies that support data science. Worldwide revenues for big data and business analytics software will top $166 billion this year, an increase of 11.7 percent over 2017, according to market researcher IDC. Moreover, the war for talent who can work with emerging analytics technologies is at a fever pitch. 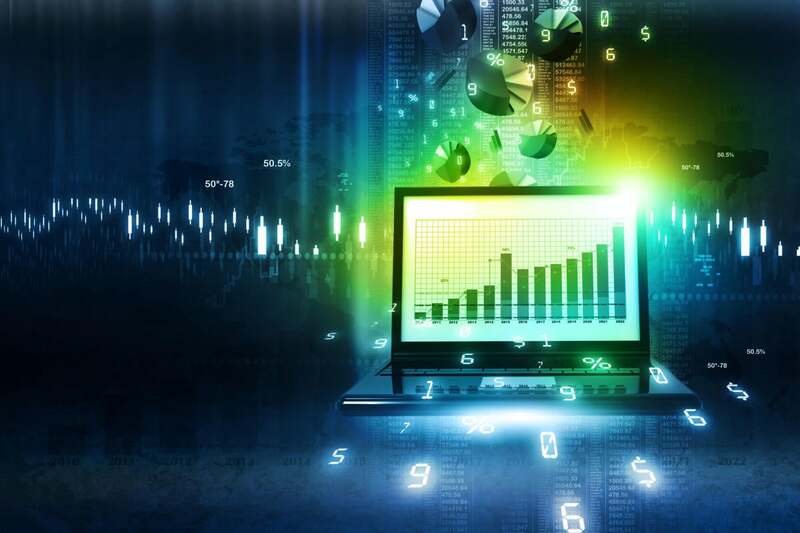 Some CIOs who have found ways to boost top- and bottom-line growth crunching through data recently shared lessons learned and advice for peers undertaking similar efforts. Few sectors generate more data than the energy industry. But for years, oil giant Shell didn't know where parts were in its various facilities around the world; it didn’t know when to restock; and it didn't know when maintenance issues were occurring until parts began failing. With machine downtime costing industrial companies millions of dollars a day, Shell decided to harvest data to head off these issues. Shell built an analytics platform based on software from several vendors to run predictive models to anticipate when more than 3,000 different oil drilling machine parts might fail, according to Daniel Jeavons, general manager of Shell’s data science center of excellence. One of those tools, Databricks, captures streaming data via Apache Spark. Shell uses this tool to better plan when to purchase machine parts, how long to keep them, and where to place inventory items. The tool, hosted in Microsoft Azure’s cloud, has helped Shell reduced inventory analysis from over 48 hours to less than 45 minutes, shaving millions of dollars a year off the cost of moving and reallocating inventory. Lesson learned: It takes a lot of tools to stave off machine failure. Jeavons says Shell’s platform includes software from Databricks, Alteryx, C3, SAP and other vendors to help his data scientists generate business insights. Ultimately, CIOs must evaluate the right tools and see what works before making big-ticket purchases. Data is the lifeblood for Airlines Reporting Corp. (ARC), which each year settles more than $88 billion worth of airfare transactions between airlines, including Delta, American Airlines, British Airways, Alaska Airlines, and travel agencies, such as Expedia. Airlines pay to access data that ARC collects on these transactions to learn more about where travelers are going, when they travel and how much they are paying in the process for more than 2.2 billion flights each year. ARC captures the data, ingests it into analytics engines, refines it, and builds custom reports for its customers. The company is migrating from a Teradata data warehouse to cloud software from Snowflake, which will help ARC get data products to market faster and offers greater scalability and performance, thanks to its home on AWS, says ARC CIO Dickie Oliver. Oliver says Snowflake, which is architected to separate compute resources from data storage, enables ARC to rapidly build new customized reports for customers. Thanks to this project, ARC will able to create new products tailored for customers that take new forms of data into account, Oliver adds. Lesson learned: Moving to a new data platform is daunting and not just because of the technology shift; change management is the real bugbear here. Getting peoples’ “minds wrapped around change to begin with and moving them through the change process is the most challenging part of the process,” Oliver says, adding that he’s fully engaged in training staff, including moving them through certifications, and bringing in consultants, such as Slalom to help with the change management. TD Bank’s data analytics team spent the past several years updating its data infrastructure for current and future needs, creating an enterprise Hadoop data lake. The Cloudera-based lake is used to cultivate insights about customers, from tracking attrition rates to targeting just the right products to its customers, according to Joe DosSantos, TD Bank’s senior vice president of enterprise information. A core focus for TD Bank includes giving business analysts the ability to pull data from the data lake and make it usable and actionable without requiring data scientists to hold their hands. “We’re making the data set broadly available for people to use,” DosSantos says, adding that TD Bank also uses its analytics platform to detect fraud and other malfeasance. Lesson learned: TD Bank has been reimagining its enterprise data platform for the past several years, sifting through decades of customer transactions and other data. Rather than rely too heavily on Hadoop, TD Bank uses Talend software to extract, transform and load raw data into information that can be used for actionable business intelligence. Cargill’s animal nutrition unit developed iQuatic, a mobile data-tracking app that helps shrimp farmers reduce the mortality rate of their yields. The app predicts biomass in shrimp ponds based on environmental factors, such as temperature, pH and nutrition, and works in concert with Cargill’s iQuatic automated shrimp feeding system, which employs automated feeders using acoustic technology to understand the natural eating patterns of shrimp, says Tiffany Snyder, CIO of Cargill’s Animal Nutrition Enterprise. Snyder presented on the iQuatic system at the CIO 100 Symposium in August. Farmers save data from the app to the cloud, then access a live operations dashboard that visualizes pond performance, providing key measures and predictive analytics that help them better manage shrimp health and increase yields. Previously, farmers collected this data the old-fashioned way — on pen and paper. Lesson learned: To build the app, Snyder says Cargill sent engineers and business executives to a shrimp farm in Ecuador to learn how farmers captured data from their ponds. “We made the farmer part of our team,” Snyder says. Snyder says working quickly in agile, two-pizza teams paved the way for a successful pilot in five months and, ultimately, a production launch. Global healthcare company Merck was looking to use data collected in ERP and core systems for manufacturing execution and inventory control to gain more business insights. But with its engineers spending 60 percent to 80 percent of their effort finding, accessing and ingesting data for each project, the business objective was going unfulfilled. "We were not viewing data as a viable, permanent and valuable asset," says Michelle D'Alessandro, CIO of manufacturing IT at Merck. "We wanted to establish a culture where we spent far less time moving and reporting the data and far more time using the data for meaningful business outcomes." Merck created MANTIS (Manufacturing and Analytics Intelligence), an über data warehousing system comprising in-memory databases and open source tools that can crunch data housed in structured and unstructured systems, including text, video and social media. Importantly, the system was designed to allow non-technical business analysts to easily see data in visualization software. Conversely, data scientists could access information through sophisticated simulation and modeling tools. MANTIS has helped decrease the time and cost of the company's overall portfolio of IT analytics projects by 45 percent. The tangible business outcomes include a 30 percent reduction in average lead time, and a 50 percent reduction in average inventory carrying costs. Lessons learned: A key to her success, D’Alessandro says, was identifying a "lighthouse" analytics project in an Asia-Pacific plant where Merck would see the biggest payback. Upon demonstrating success with MANTIS there, it became a call to action to other sites. She also learned not to bite off more than she can chew. D’Alessandro says she "overreached" in an early experiment to use artificial intelligence and machine learning to analyzes costs of Merck's manufacturing processes. "It wasn't for lack of sponsorship or lack of visions, we just couldn't get it to work," she says. The platform, MyDPS, is equipped with machine learning and other analytics tools that funnel recommendations and a daily operational scorecard to workers when they load the app. Algorithms that show staffers how they are executing against their expected projections, including whether they are on track to meet their plan and how to course-correct if they are not. “If I am going to make someone successful I have to ensure what info they have is contextually relevant,” Farrah says. Lessons learned: To test the proof of concept for MyDPS, Farrah gave the software to four people in a branch and had the president of the business go visit them. They revealed that execution sell-in had improved by 50 percent since the previous month after using MyDPS, convincing him to greenlight the project. "He got the result and that's what it took to sell-in,” Farrah said. “That's really important that you not just have the business sponsor for the project but they want the result that it's going to deliver." Construction-related spending is 13 percent of GDP but the industry has generated only a 1 percent productivity gain in the past two decades, says Carol Zierhoffer, CIO of Bechtel. Experts say the sector can boost productivity 50 to 60 percent by rewiring contracts, upskilling workers and improving onsite execution, among other tweaks. Bechtel, which built the Hoover Dam, English Channel Tunnel and other marvels, began unearthing insights from data buried in various parts of the business. Zierhoffer built a big data center of excellence, in which sits a data lake comprising 5 petabytes of data, and started a proof-of-concept. The company used photo recognition technology to inspect and label photos of sites on behalf of customers, saving $2 million. Natural language processing (NLP) tools parse claims, RFPs and contracts. Estimates and plans that once took days and weeks now take hours. Bechtel has also expanded the analytics efforts to look at staff retention, including trying to anticipate when employees may leave. “We believe we are knocking on the door of that challenge in productivity,” Zierhoffer says. Some years ago RRD, the marketing communications company formerly known as R.H. Donnelley, opened a logistics division to ship print materials to consumers and businesses. To support the business, RRD managed loads for itself and shipped anything from washing machines to dog food on behalf of its partners, eventually growing to a $1 billion enterprise. The challenge? Finding optimum shipping rates in a world where FedEx and UPS were the undisputed kings. Variables such as weather, geography, drivers and political climates cost its business. With the pressing need to predict rate variables, RRD turned to machine learning and analytics, says Ken O’Brien, CIO of RRD. It hired staff and universities to help write algorithms, testing thousands of scenarios across 700 routes until it was able to anticipate freight rates in real-time — seven days in advance at a 99 percent accuracy rate. “The project paid for itself in under a year and we're still seeing growth in that business related to freights,” O’Brien says.